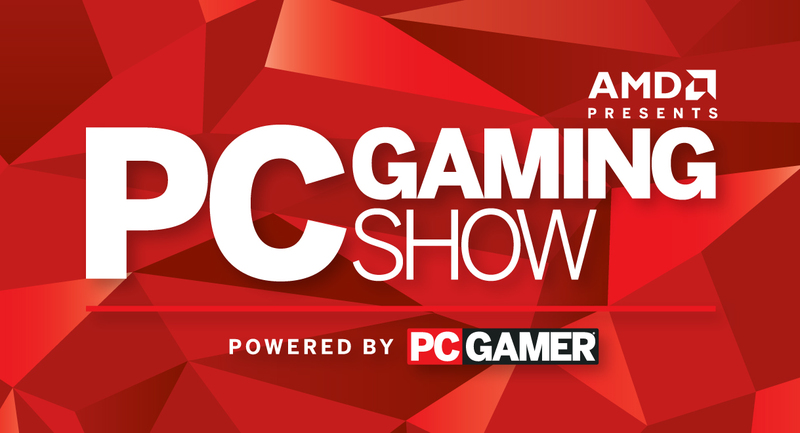 LOS ANGELES, Calif. – April 21, 2016 – “AMD Presents The PC Gaming Show Powered by PC Gamer,” the second annual event for developers, publishers, hardware companies, press and fans, will take place at The Theatre at Ace Hotel in Los Angeles on Monday, June 13 at 12 noon PDT. Presented by AMD, organized by PC Gamer, and streamed live in partnership with Twitch, the show will once again unite and energize the PC gaming community with exclusive news, fresh reveals and perspective from some of the most respected names in the industry. Sponsors and participants from last year’s inaugural PC Gaming Show included game developers and industry titans like, ArenaNet, Blizzard, Cloud Imperium, Creative Assembly, Microsoft and Nexon. For more information and to register for press access, please visit: www.PCGamingShow.com and follow #pcgamingshow. With the success of last year’s inaugural show, which boasted 30 on-stage guests and over one million live viewers, the 2016 PC Gaming Show promises an exciting lineup of announcements and participants. PC gaming continues to be the most powerful and affordable platform for gamers – and with innovation in virtual reality and esports, it’s soon to reach more people than ever before. The PC Gaming Show celebrates the PC community that’s always been, and the PC community that’s on the horizon. Organized by PC Gamer, with support from Presenting Partner, AMD (NASDAQ: AMD), the second annual PC Gaming Show will see participation from a range of game developers, including Bohemia Interactive, SEGA and Tripwire Interactive, among many others to be announced soon.